Founded in 1997 Boozoo Bajou made a huge impact on the downbeat music scene. With their album „Satta“ and their groundbreaking singles like „Night over Manaus“ they got worldwide respect by music lovers all over the world. With their own mixcompilation series „Jue Joint“, 300+ compilations uses and a lot of tv ad’s on their back they changed label from Stereo Deluxe to !K7 in 2005. 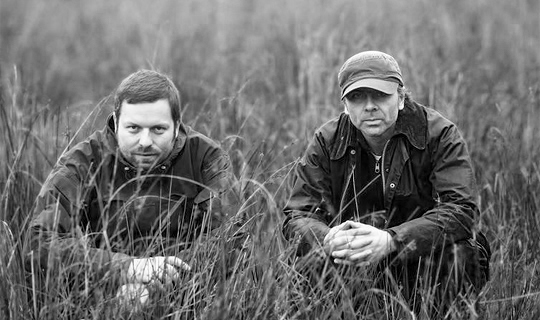 The albums „Dust my broom“ (2005) and „Grains“ (2009) have been successfully released on the berlin label. Beside that Boozoo Bajou have djed all over the world including festivals like Cocahella or Big Chill. Currently their remixes for Jay Haze and Chris Coco show a modern side of Boozoo Bajou which can also be found on their brand new mix compilation „Coming home“.